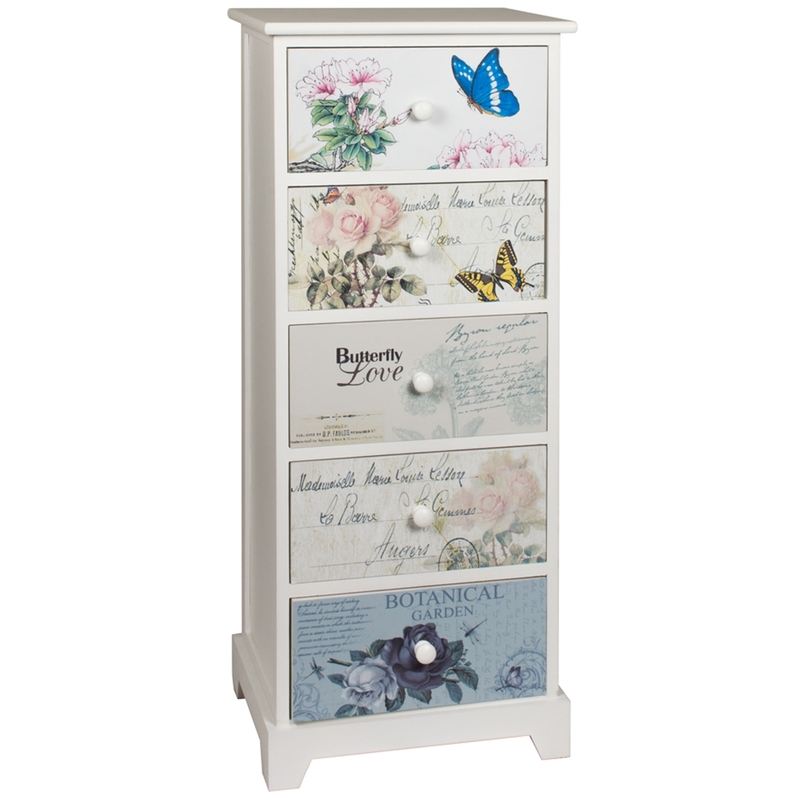 Add a warming and welcoming design to your home by introducing this beautiful Shabby Chic Butterflies 5 Drawer Chest. This drawer chest has a lovely design that takes a white wooden base and gives it 5 contrasting drawers. All of these drawers have a unique pattern and set of colours, all of which look very shabby chic and charming.